If you’re like me who’s always into looking at the new designs and packaging of products, I always look forward to product launches because I’m interested to find out the new design for the product. 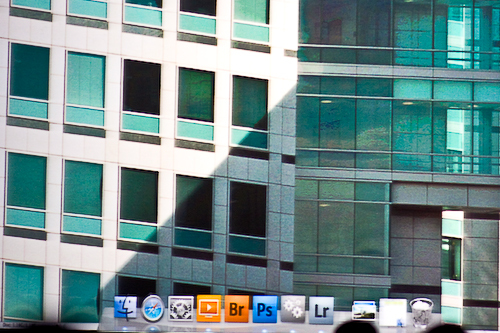 Of course, the new design of Adobe’s CS4 did not disappoint. For your viewing pleasure, I have provided you the packaging for the new Adobe Creative Suite 4 courtesy of Adobe.com above. Finally, Terry White also posted a tutorial on the new Camera Raw 5, Bridge CS4 and Photoshop CS4 over at his Creative Suite Podcast. 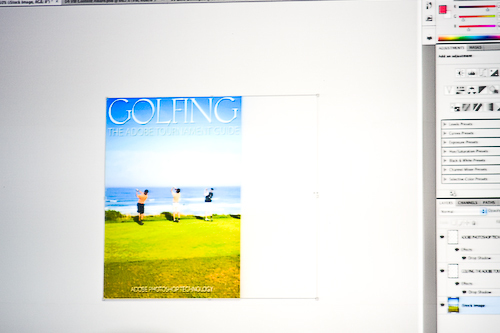 Oh, one more thing – check out the Layers Magazine CS4 Learning Center. I mentioned before that there was a Photoshop CS4 Learning Center. The difference with the one from Layers is that this includes all the other apps from the Creative Suite – Dreamweaver, Flash, Fireworks, Illustrator, etc. 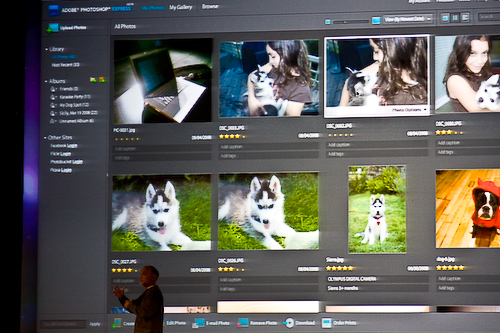 One more cool thing in attending Photoshop World is that you get a preview of the new products of Adobe. 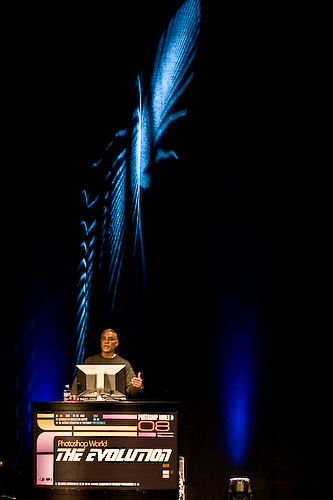 During the keynote, Adobe’s Johnny L provided a preview of the next version of Photoshop. 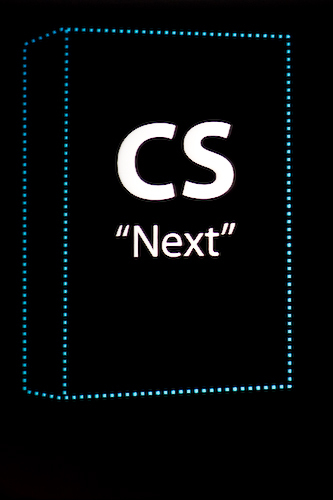 Dubbed “CS Next” internally, the full details and features of this new product will be announced in Adobe’s CS4 launch on Sept 24. I’m sure the NAPP guys are working on some demos and tutorials for the new CS4, so watch out on Sept 23 for more announcements! 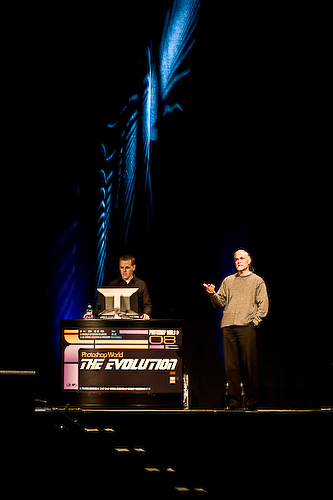 In case you haven’t heard it yet, Adobe has released trial versions of Dreamweaver, Fireworks and Soundbooth CS4. 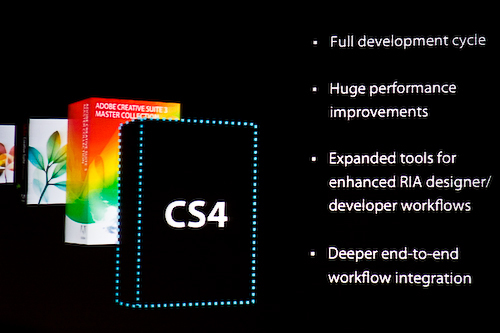 Yes, it’s CS4! You may get them at the Adobe Labs website. Also, Jeff Revel has an article on Photoshop Droplets. You may want to check them out. 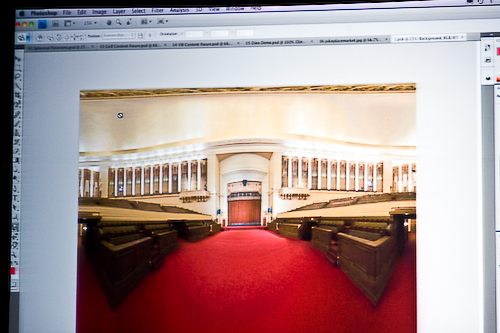 I am using them for sharpening photos in Photoshop after exporting them in LR. This is a tip I got from Scott’s LR book. There’s huge time saved by using them. Another thing, here’s an ad for the new Canon 450D (Rebel XSi) that was shot using a Canon EOS 1D Mark III from Rob Galbraith’s site. 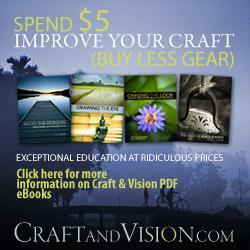 You may also check out Canon’s XSi Commercial website. Finally, since I’m constantly looking for a nice desktop wallpaper, I wanted to share with you what I’m using right now… I got it from Adam Betts (pretty awesome designer, if you check out his work). It’s an Apple logo on a black leather texture. It kinda resembles my wallet so that’s why I like it 🙂 Anyway, check out the wallpapers here… there are 2 versions – 1 with an apple logo and 1 without.